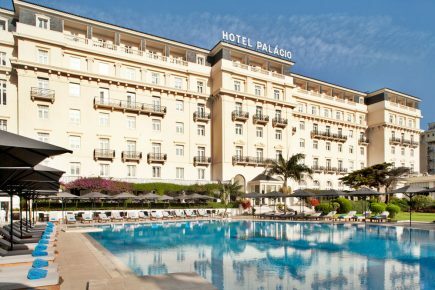 Enjoy a 3 night pampering programme delivered within the exquisite surroundings of the stunning, sea-fronted 5 Star Palácio Estoril and its award-winning Banyan Tree Spa. A medium to strong deep pressure massage which minimises recovery time for stressed and tense muscles. The intensive strokes work to loosen and relax the muscles. A medium to strong deep tissue massage where the therapist applies thumb and palm pressure with firm strokes, using a unique blend of essential oils with warming qualities. This beautiful massage not only stimulates blood circulation, but improves energy flow and relieves tension. All above mentioned rates are IN EURO per person. All activities and treatments will be booked prior to arrival. This package treatments are subject to availability.